Coowon Browser is a very straight forward and easy-to-use application you can use to load webpages with great speed and perform a variety of game-related tasks. With Coowon Browser you can record and play mouse clicks, have gaming actions automated, so you can still work on something and have those tasks carried out automatically in the background. The multi-tabbed browser benefits from the speed of Chrome on which it is actually based upon and it can also be extended with extensions to expand its functionality even more. 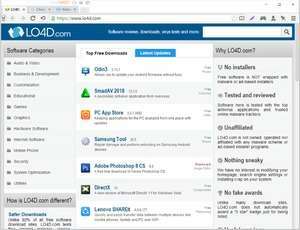 For security reasons, you should also check out the Coowon Browser download at LO4D.com which includes virus and malware tests. Additional screenshots of this application download may be available, too.